Born London, the only son of Arthur and Rosie Kohn, of 79, Queen's Gate, South Kensington, London. Between 1st July 1916 and 2nd July 1916, aged 28. Son of Mr. and Mrs. J. Lockett; husband of Mrs. M. J. Kelly (formerly Lockett), of 23, Duckett Terrace, Burnley, Lancs. Prior to enlisting he was a weaver at Messrs. Stansfield's George Street mill, Burnley. Born Clayton-le-Moors, Accrington. A Railway Porter prior to enlisting. Between 1st July 1916 & 2nd July 1916, aged 23. Son of Richard Ormerod, of Ramsgreave, Blackburn. A Clerk in civilian life. Born Burnley, son of Mr. W. Sharpe, of 64, Helena St., Burnley. A Weaver in civilian life. Son of Mr. and Mrs. Christian Siegel, of Halcombe, Oroua, New Zealand. 28th March 1918, aged 25. Son of Mrs. K. Small, of 14, Western Springs Rd., Morningside, Auckland, New Zealand. Born Rishton, Blackburn. An Engineer by trade. 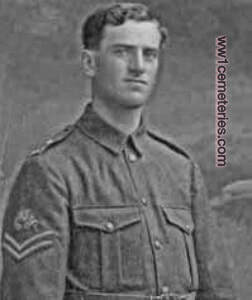 Between 1st July 1916 & 2nd July 1916, aged 29. Born Accrington and a Moulder in civilian life. Lived at 10 Hindle Street, Accrington. Son of G. Winskill, of Bank St., Amberley, Canterbury, New Zealand.